Who knows when you may take on a rock that is a little too big or when you find yourself stuck on a boulder that will not let you down without completely damaging your undercarriage. It does happen, but you can prevent any serious damage to your truck’s exterior and undercarriage with one of our 2005-2015 Tacoma rock sliders and rocker guards. With one of our rock sliders installed, you will be able to take on any terrain that you want, and you will no longer have to fear that horrible sound when your undercarriage scrapes on something. 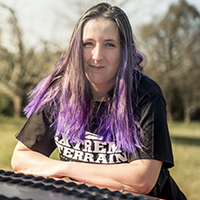 ExtremeTerrain brings affordable rocker guards and rock sliders to you and you will be impressed with some of the top name brands that we do carry here in our online shop. Many of the rock sliders that we carry are finished in chrome or they may come powder coated in black. Each one is constructed from a quality steel material that will hold up under the pressure that you place it. All of the rocker guards come protected by a special coat that resists water, mud, debris, and scratches. Supreme strength is always at the forefront of the rocker guards that we have to offer, and we are confident that you will find one that is perfect for your Tacoma. The guard absorbs all of the shocks that your truck may take on and you can hit the slopes and terrain without a worry in mind. Installation of these guards and sliders is easy and you can bolt it on in just minutes. Hitting the trail has never been easier and safer with one of these rock sliders and rocker guards installed on your truck.